Copywriters who also specialize in SEO (like us here at Sozo) understand well just how in-depth and time-consuming SEO work can be. Unfortunately, some clients don’t, and that can make a copywriter’s job infinitely more difficult. 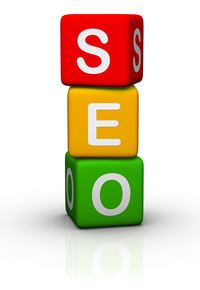 Old keyword tactics are no longer considered effective in good SEO work. This is probably one of the top misconceptions that SEO copywriters are presented with. Many clients are under the impression that the secret to ranking well with the search engines is using keywords – and lots of them. However, in the ever-changing game of SEO, it’s important to realize that tactics that were once effective can become outdated literally overnight (in the time it takes for Google to release an update, for example). Keywords (or many people’s perceptions of how to use them, at least) are one such outdated tactic. Many clients place an extreme overemphasis on the importance of keywords and expect their copywriters to do the same. They want keywords used as frequently as possible, and if an article doesn’t contain enough keywords, they won’t approve it. These clients have been known to chastise or even fire their copywriters for not using keywords frequently enough. But what are the copywriters to do? Correct their clients? Sit them down and try to explain the intricacies of keyword use in SEO? It would take a brave copywriter indeed to try to explain something as complicated as modern SEO to an ill-informed client, so instead, many copywriters simply follow one of two paths: First, some choose to bow to their client’s [unreasonable] demands. Unfortunately, this often results in them having to have a talk about proper SEO tactics anyway because the client will probably eventually ask the copywriter why their keyword-stuffed pages aren’t ranking. Alternatively, some copywriters choose to simply ignore their misinformed client’s directives. While some clients would shrug this off upon realizing that their pages were ranking well and that the copywriter’s tactics were effective, others would not react as well to the copywriter’s insubordination, regardless of the fact that the copywriter was in the right. So if you’re a current or future client of an SEO-focused copywriter (or the copywriter himself), it is important to understand (and in the copywriter’s case, help your clients to understand) that keyword usage in SEO has changed. Current keyword methodology is a completely different animal from the crammed-full-of-keywords content web pages of the late 1990s. Whereas in the past, keyword stuffing was the method of choice (using as many keywords as often as possible to prove to the search engines that your page contained content relevant to the search terms), now such tactics could actually prompt search engines to penalize you. So rather than boosting your page’s rankings, using too many keywords could actually sabotage your chances of ranking well. Instead, keyword usage has become a science. Keyword frequency (the number of times keywords appear in your content) is still important, but your content needs to be balanced and your keyword frequency believable. Quality content that clearly demonstrates knowledge of how to use keywords effectively will improve a client’s rankings; simply using keywords as often as possible will not.